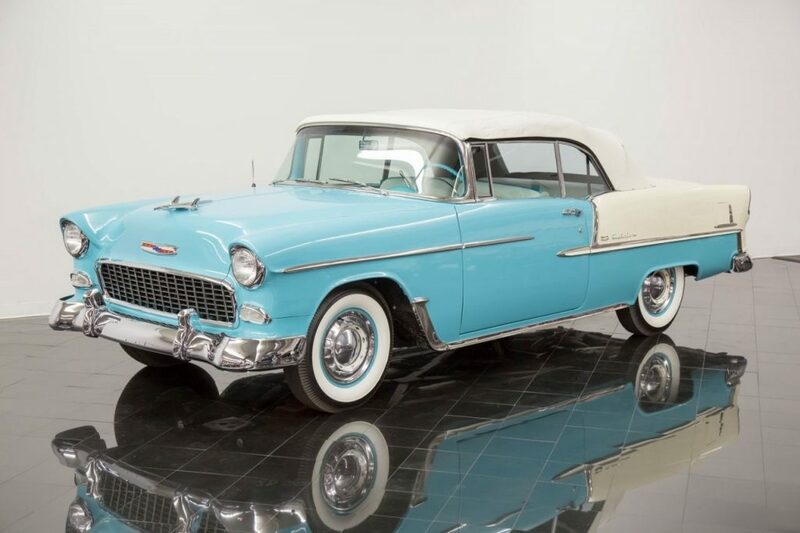 Brilliantly restored Bel Air in a stunning factory color combination of India Ivory & Regal Turquoise! 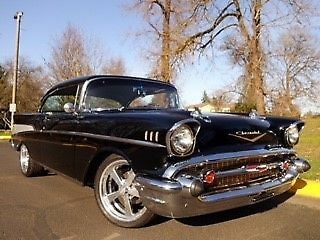 Fitted with date-code correct FB- 265ci Power Pak V8 and Powerglide automatic! 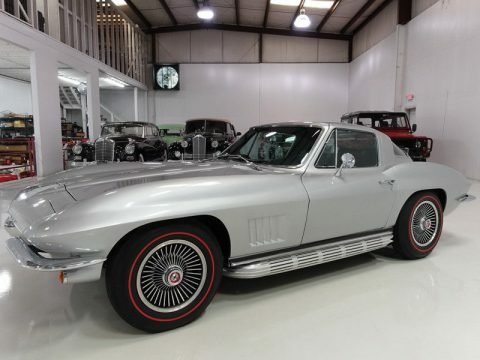 Everything new throughout coming from a fresh & complete frame off restoration! 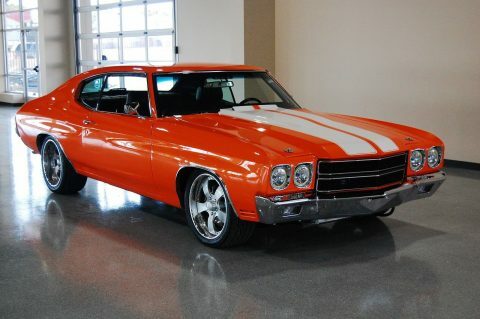 What a knock-out car that needs nothing! 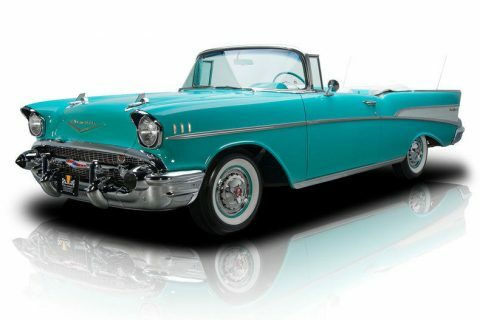 The second generation of Chevrolet Bel Air received a facelift largely recognized today as the most collectible today! 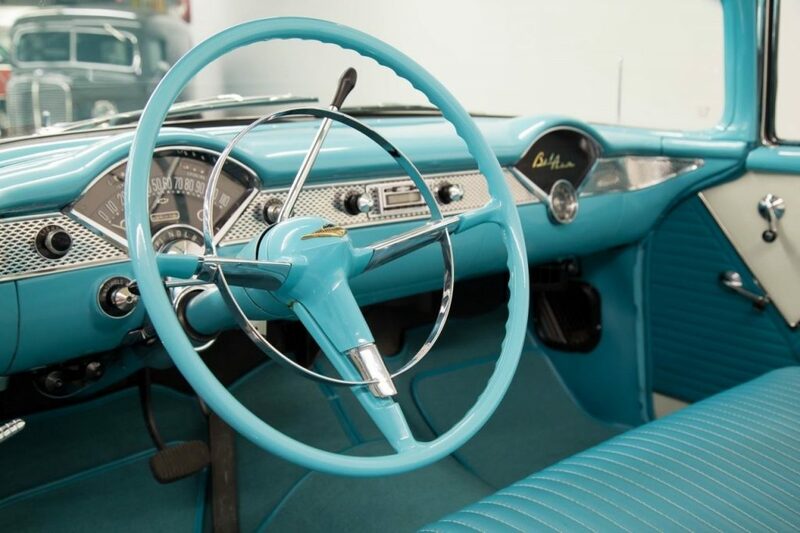 Beginning with the 1955 model year, chrome trim continued to be draped over both the interior and exterior! 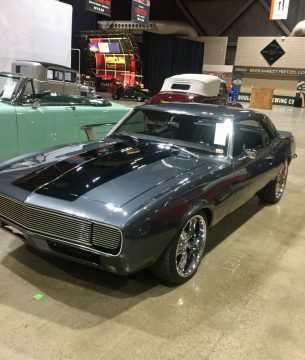 The body grew crisp lines and smooth angles leaving a very clean appearance from all angles! 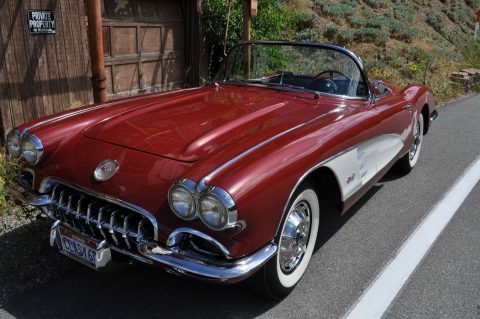 They are now among the most collectible American cars throughout the world! 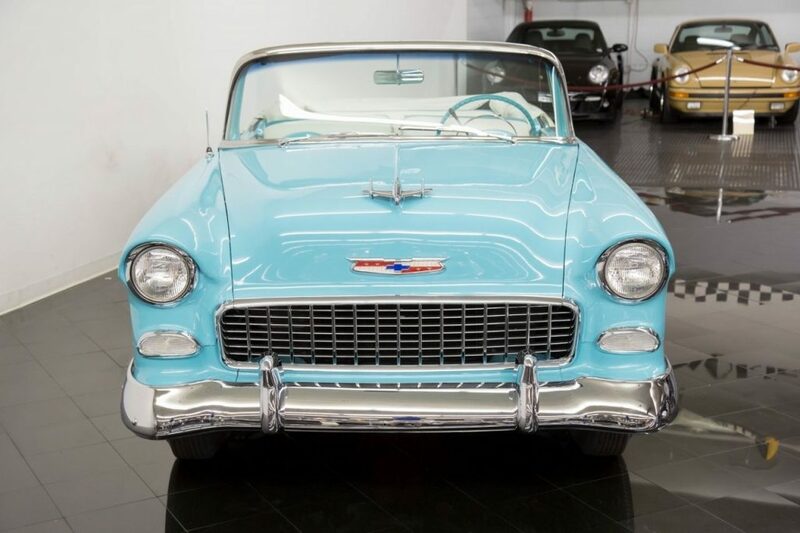 We are delighted to offer this 1955 Chevrolet Bel Air Convertible! 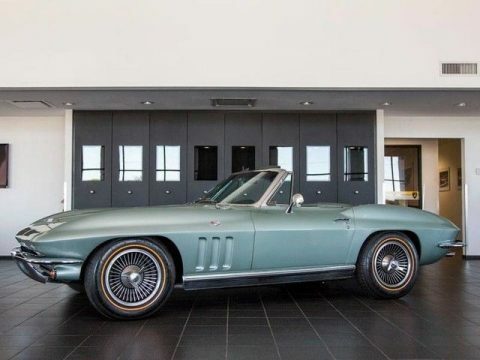 (Style#: 55-1067DTX) Finished in desirable and data tag correct India Ivory/Regal Turquoise (612) two tone exterior with matching Turquoise/Ivory (537) combination vinyl interior! 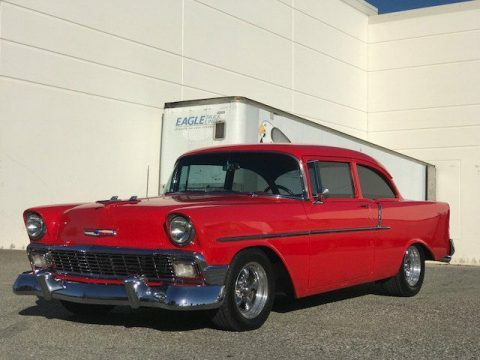 Features include date code correct, FB-code 265ci V8-4bbl Power Pak engine providing a stout 180 horsepower mated to the reliable PowerGlide automatic! 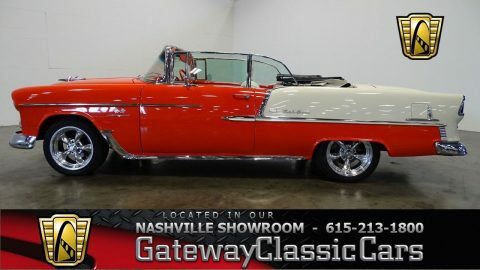 Options providing this beautiful example superb drive qualities include power convertible top, Firestone Deluxe Champion 6.70-15 wide whitewall tires, full wheel covers, upgraded Custom Autosound AM/FM/Aux radio and fender mounted antenna, carpeted floor mats, and heater/defrost!! 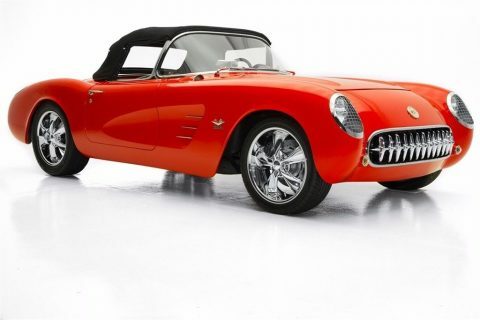 Exterior trim upgrades include door handle paint guards, lower rocker trim, and fuel door trim surround! 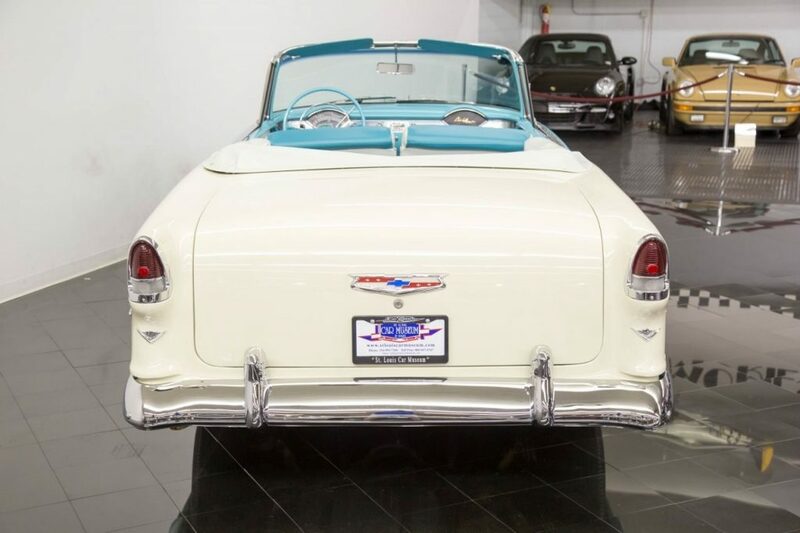 This wonderfully driving example showcases a fresh cosmetic & mechanical restoration completed only recently with outstanding, show worthy results today! 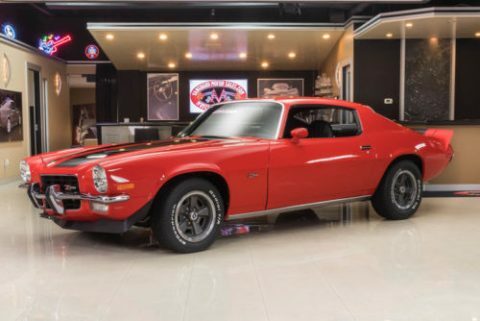 The very desirable 265ci V8 engine has been fully rebuilt and features the auxiliary oil filter, original Carter carburetor, dual exhaust with inline resonators, and runs excellent! 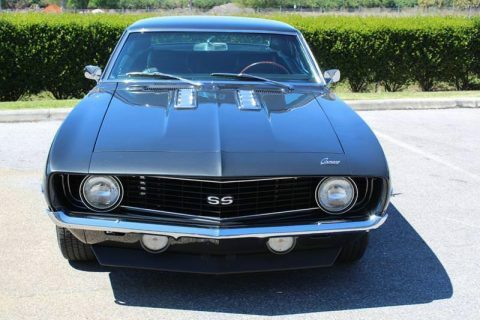 It starts with perfect ease with all gauges, lights, and interior features fully functional right down to the electric dash clock! 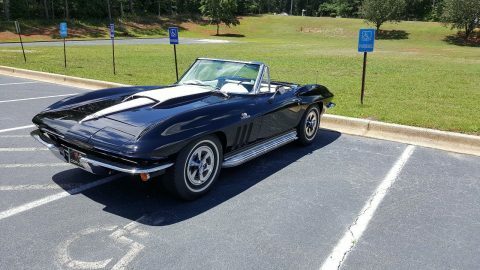 You will be utterly impressed with the expertly applied paint, all new weather stripping, all new interior carpet & seating upholstery, new convertible top & boot cover, all new wiring, perfect chrome & stainless trim appointments, new exhaust system, all new brakes, fresh fuel system from the fuel tank forward, all new body bushing, fresh suspension, new assembly hardware, just too much to list! The trunk still houses a proper full size spare tire, jack, and lug wrench with new rubber mat. 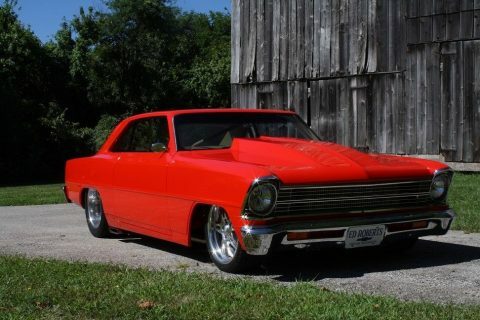 Even underneath, the solid floor are highlighted in factory correct red oxide primer! 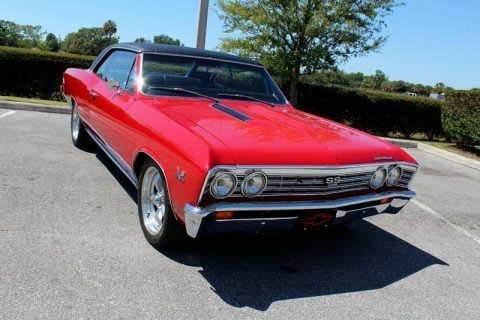 It is hard to find such solid, drivable examples on the market today! 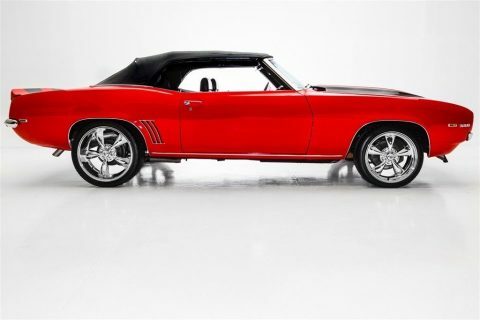 This opportunity represents a terrific chance for anyone looking for a well-equipped tri-five Chevrolet Convertible! 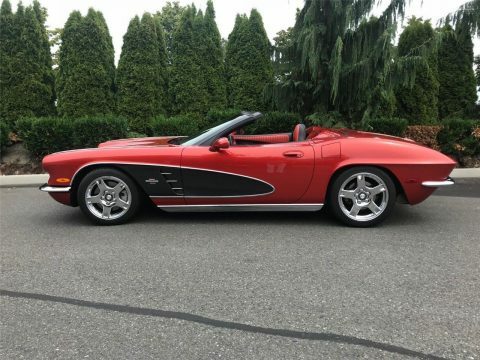 Please feel free to call with questions or to schedule an opportunity to view the car in person!